At Beach House Chiropractic we provide a range of carefully selected products to support your health, well being and vitality. These can be purchased in the clinic or here on the website. Buy here and collect from the clinic – 10 Broadwater Street West, Worthing BN14 9DA (Vouchers can be sent via post). 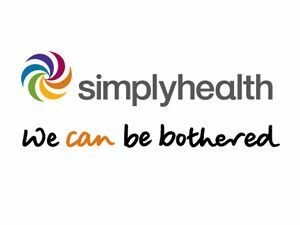 A 45 minute Sports Therapy & Massage Voucher valid for 3 months. The voucher can be posted to you at no charge or collected from the clinic. A great gift for someone else or a real treat for you! (New clients only). A Complete Introduction to Chiropractic, includes Examination, Report of Findings & 1st Chiropractic Treatment. Voucher valid for 3 months. The voucher can be posted to you at no charge or collected from the clinic. (New clients only). Postural care whilst sleeping is not only great for a deep and relaxing sleep, its also essential for a healthy spine. 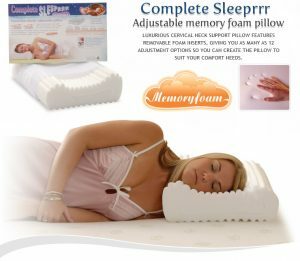 Memory foam pillows can help reduce headaches, neck pain and shoulder pain. After researching various pillows we have chosen the Complete Sleeprrr. Completely adjustable, this pillow is not available in high street shops. It comes with a protective sleeve and instructions for adjusting it to suit your neck perfectly. Sweet dreams! 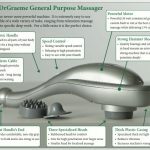 The general purpose massager has been designed by a Chiropractor and provides a wide range of massage from relaxation to specific deep tissue work. It comes with three ‘massage heads’ and a manual of how to get the best from your home massages. We believe this massager is so good we actually use them in the clinic ourselves! Your massager also comes with a 12 month manufacturer’s guarantee. Save 15% on the rrp of our recommended nutritional products. Nature’s Sunshine nutritional supplements are high potency and precisely formulated to give superior results. Please visit our Nature’s Sunshine supplements website here and save 15% on the rrp. We recommend collection from our clinic in Worthing. If you have any questions or would prefer to place your order by phone, please call us on (01903) 660094. Debit & credit cards (not amex) accepted.